The massive, sprawling Elder Scrolls: Oblivion is an equally fascinating and frustrating experience. It doesn’t offer the plot and gameplay intricacies of its predecessor Morrowind, nor the technological leaps of Skyrim. It shines instead through the player’s process of discovery and the subtleties therein: emerging from a forest to a mountaintop at dawn with a view of the capital city, stealing an expensive amulet from a sleeping NPC’s home, creating the right potion (or five or six) to get through a tough fight. Unfortunately its design flaws threaten at times to completely break the immersion, and the overall experience is truly enjoyable for only the most forgiving and functionally creative of players. The plot of the main quest is ridiculous and superfluous to the game itself. The king has been assassinated and the son is in danger and the evil demons are on their way. I don’t care about any of that. Give me a big world where I can wander around, steal some stuff, fight some monsters, and just do my own thing. Let me create my own experience, and fashion the character and story in my way – my big bearded conjurer Jerry Garcia can tackle the ills of the world just fine without a rote fantasy narrative to follow. That’s actually what Bethesda games do so well, with Fallout 3 being the pinnacle of a intricately designed game system for the player to explore at will. Oblivion doesn’t have quite offer all of the open world eccentricities of that game, nor is it as deep with independent gameplay options as Morrowind, which presented a living world and atmosphere heretofore unmatched by any RPG. 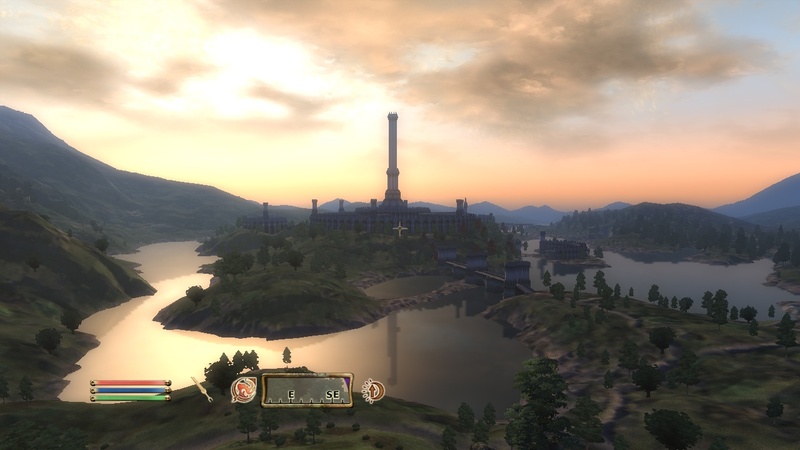 Oblivion is more classically styled with its medieval themed land of castles and forests, and its skill and inventory system tailored for console play. But it’s still rich with possibilities for the adventurous explorer, and gameplay opportunities abound outside of its main quest. And don’t overlook the expansion Shivering Isles, a bizarre experience with some unique design elements and advances to the core game. Graphically this is still a very impressive looking world. One is tempted to stop even mid-battle to admire the view of a mountain range or wandering stream. 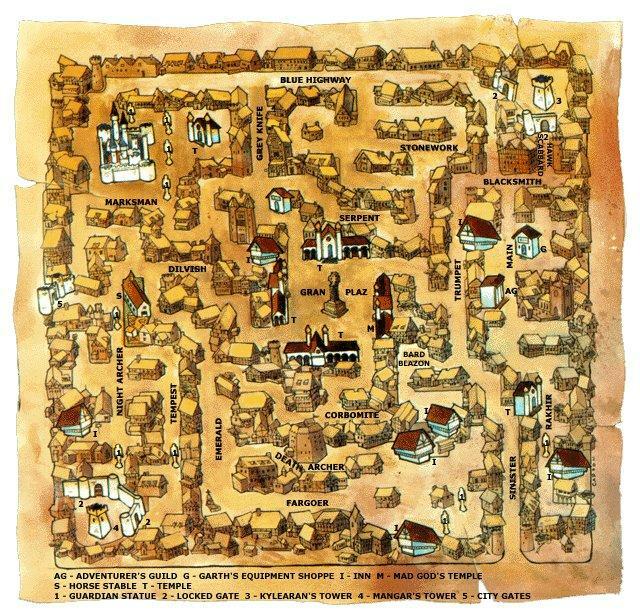 More than that, the sophistication of the programming allows for significant player invention in Bethesdian ways, like filling up a room in a house with weapons or watermelons strewn about realistically on the floor or purposely knocking over the plates and goblets on some poor innkeeper’s table. These details make the world feel realistic, and endlessly entertaining to explore and disrupt. The combat system is adequate, if bit too simplistic, eventually just requiring endless sword stabs or thrown fireballs at enemies instead of any real strategy. Dialogue is simple but sufficient – I’m not looking for extended soliloquies from every shop owner or city guard, just some basic interaction to add a bit of immersion to the experience. All the familiar role playing tropes are here as well: haggling, item repair, spell making. These are well designed mini-systems logically integrated into the game, so that reading a rare book about a famous thief will increase the player’s sneaking ability. 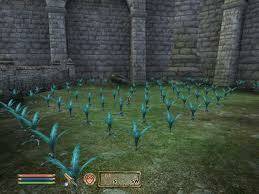 Unfortunately, Oblivion suffers a significant misstep on the most important element of role playing. The main problem with Oblivion is the character progression system. This is a core element of any role playing game. Older gamers from as far back as The Bard’s Tale may recall that feeling of being slaughtered at first by a small band of wandering priests or goblins or schoolgirls only to grind and fight your way to the level of skill required to tackle a multi-level dungeon. This can be a long, tedious process requiring significant planning and critical thinking, by boosting up certain stats of one character to match a particular spell of another, switching classes at the right point for the perfect symbiosis between mage and thief, and on and on. You’re not just indiscriminately bashing monsters – you’re micromanaging your character and your group with careful strategy. (Which requires bashing monsters, of course, but there’s a point to all the bashing.) A finely tuned party becomes a unique, personal extension of the player’s ideals. You might even wish to go against RPG convention by creating orcs with high intelligence who like to carry around paperbacks of Proust next to their battleaxes, wizards with high strength and melee skills who can operate in combat like a combination of Gandalf and Royce Gracie, and of course monks who for some reason in the role-playing world often end up as the best pure fighters by the end of a long campaign with their bare fisted brand of violence. One thing to remember with classic RPGs: monks will always bring the pain, Old Testament style. Oblivion attempts to upend this process by bringing an element of ill-considered “realism” to the proceedings. The player does not have direct control over the way his character levels up. Instead, his stats and skills increase according to his actions. In theory, this might make sense – the more you experiment with ingredients and potions, the more your Alchemy skill increases and you receive bonuses. But the implementation is so flawed as to be nearly game breaking. 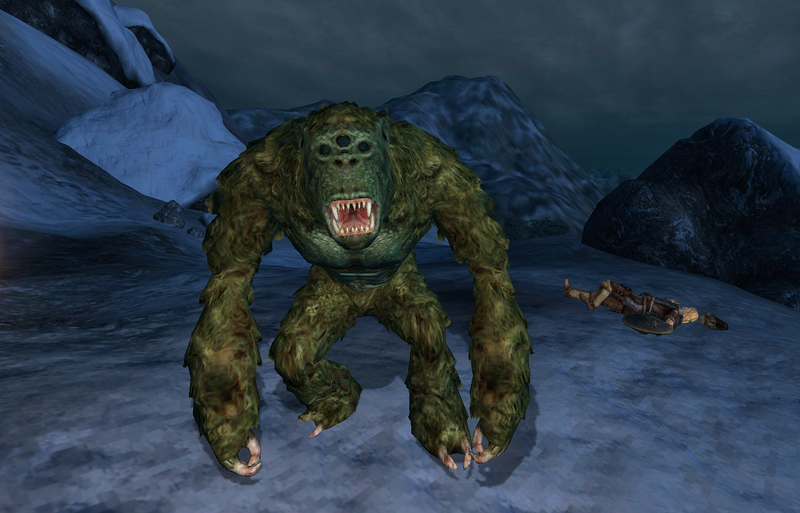 In the process of exploration – which is one of the strengths of this massive game world – the character will begin increasing certain skills regardless of the player’s intention. So just by jumping my way through that stretch of forest, I’ve now increased by Athletics skill, which is essentially useless, while also gaining a bonus to main stat of Agility. These bonuses are critical in the process of gaining a new level, so each one gained is quite valuable. But I don’t want to play as an agile character – I want to play as a fat wizard with a big beard named Jerry Garcia. He’s not agile, he’s about hanging back and casting conjuring spells during combat because he’s too goddamned high to fight things, man. There’s a whole story behind my character – as any RPG player knows – and this automatic leveling system instantly screws up the works. Now I’ve got to worry about how I’m playing, and what I’m doing, while trying to resist the temptation to spam this imminently flawed system with some trickery of my own to increase the right stats. But wait, it gets worse: the creatures and monsters all increase right along with the player. So those early creatures you fight at the beginning to increase your skills get stronger and stronger right along with you, thereby destroying any sense of accomplishment. Sorry, but I haven’t worked my way to level 23 to still have trouble fending off a common wolf. Similarly, certain quests become inordinately more difficult as the player increases in level, as the multiple monster attacks were clearly designed to be approached early on rather than later in the game when they’ve all gotten far too strong. This defeats the purpose of an Elder Scrolls game, particularly one as rich with other exploration and gameplay options as this one. Jerry Garcia the conjurer doesn’t want to worry about the main quest, man. All this fighting and killing – what is this Altamont? Seriously I want to play these games as sprawling alternate lives, not as some rigid fantasy narrative that forces me into its main quest. Fortunately, this game is filled with enough other options so that even the spiking difficulty can be negotiated with the right strategy. There are multiple towns and sidequests, skills and guilds all over the world. Many of the quests are quite cleverly implemented: one quest has the player following other characters around a town gathering “evidence” for a paranoid halfling who, it turns out, is simply delusional. I tried to calm him down by playing some “Help On The Way” but he wouldn’t listen, so I eventually killed him and took his gold. The Dark Brotherhood guild requires the player to enact a series of covert assassinations, including the rigging of a wall fixture to collapse on some poor victim at the correct moment. Other guild quests are fraught with treachery and condescension, as NPCs turn against one another while patronizingly using the player as a pawn. I like that. The player is not the center of Oblivion’s world, and is not even the main character in the central quest. You’re constantly fighting for respect in this game and that aspect of its world feels real. One of the most interesting aspects of the game is its modding community, which has effectively fixed any leveling or graphical issue while incorporating all sorts of new content from items to quests and locations. Oddly enough, my favorite mod has been the gardening feature, which allows the player to plant as many ingredients anywhere he likes on the land, thereby creating an endless source of material for potions. I was so excited by this that I created a whole new character for the occasion: an Argonian lizardman gardener named Nabokov. Yes, he’s a meek and mild lizardman gardener who tends to his modest farm and spends most of time selling potions to the local vendors, but he’s also a bow specialist with a pack of poison tipped arrows at the ready. So don’t mess with his crops, man. Unfortunately, the PC game experience is not as enjoyable as the Xbox 360 counterpart for me. I prefer the casual element of the console controller, particularly in the way that the awkward combat in this game can get tricky on the mouse and keyboard. The PC version does not officially support a controller, and though it can be done with certain software additions, it does not have the same ease and fluidity as the console. Besides that, the user created mods can make the game unstable and then quite complicated to disentangle. My laptop also seems to have trouble with some aspects of this game, which breaks the immersion. So even despite the flaws in the proper unmodded game, I prefer the console version for its controller and stability aspects. I like Oblivion. It’s actually a more enjoyable world to explore than the chilly environments in Skyrim, where you’re constantly in danger of dragon attacks and everyone has an accent like Triumph the Comic Dog. This is a fun, highly immersive experience; there is a real sense of becoming a part of a living world, rather than a singular hero in a linear game narrative. Further progression reveals cracks in the design, but there are still certain rewards in exploring smaller roles and alternate routes. Nabokov the lizardman gardener doesn’t have to save the kingdom or slay all the monsters, just stay the hell away from his nirnroot farm. Highly recommended on Xbox 360; more adventurous players with modding and keyboard combat experience will prefer the PC version.